Håkon Stene studied in Oslo, Freiburg/Germany and San Diego, CA. From 2005 to 2008 he was selected for the launch programme INTRO for young soloists by Concerts Norway. In 2014, his solo record Lush Laments for Lazy Mammal was awarded the Norwegian Grammy (Spellemann) in the category of contemporary music. As soloist performer he worked already with Ensemble Modern, Oslo Sinfonietta, London Sinfonietta, 2e2m and Oslo Philharmonic Orchestra. Furthermore he played with ensembles such as asamisimasa, Pantha Du Prince & The Bell Laboratory, Rolf Lislevand Ensemble and Nils Økland Ensemble, including venues and festivals throughout Europe, the U.S. and Asia as well as recordings for several labels such as ECM, Rough Trade, Dacapo and Hubro. Håkon Stene collaborates with numerous composers across generations and styles. A special interest of his has been the expanded role of the instrumentalist in experimental music. 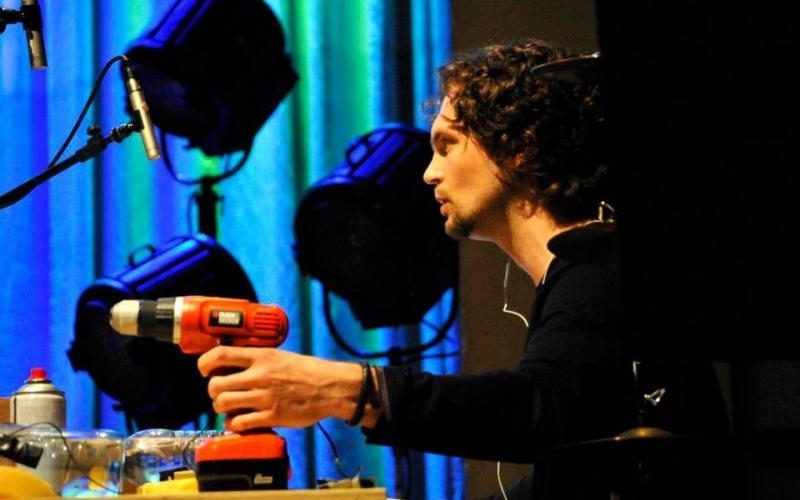 This topic was explored in the research projects “’This is Not a Drum’ – Towards a Post-Instrumental Practice” and the post-doctoral project “Music with the Real” undertaken at the Norwegian Academy of Music from 2010 to 2017. Since 2017 he is appointed professor of percussion at the Hochschule für Musik Freiburg. Which skill, that you’ve learned by playing with other people, has helped you in everyday life? It is more important to be together through negotiation than to be correct. What do you want to find by playing music?